If you've got more debt than you can manage and the situation doesn't look to improve anytime soon, filing bankruptcy may be a wise decision. If you're being hassled by debt collectors and the stress of being in over your head financially is tearing you apart, this can be the perfect solution to get immediate peace of mind and get back on the road to financial freedom and responsibility. Of the two most-used forms of consumer bankruptcy – chapter 7 and chapter 13 – the former will get you out of debt faster, get rid of more of your debts and can be accomplished quickly. Even if you're earning a good income, you may still qualify for chapter 7 if you have an overwhelming amount of debt that you can't service. And if you're a modest earner with a ton of debt, you should easily qualify. But you may be wondering exactly what bankruptcy can do for you and what your finances will look like before and after you file. Today we'll show you a couple of scenarios so you'll know what to expect. Thoughts on your car loan: If you want to keep your car after your chapter 7, you can. As long as you are current on payments, your lender should allow you to keep your car. But if you owe far more than it's worth and you can make do without a car, borrow one or make other arrangements, you may want to surrender it. You won't be able to get a car loan with a reasonable interest rate for a couple of years after you file, so think carefully about whether you want to keep your car or not. Thoughts on your student loans: If your student loan payments are high and are contributing to your financial problems, consider filing for Income Based Repayment. This will lower the amount of your monthly payments and after 25 years of regular payment, your remaining balance will be forgiven. Currently, forgiven balances are taxable, but this may change at some point. If your student loans are crushing you, this is definitely something to consider. Thoughts on your car loan: These notes ditto those above. If you are behind on your car payments and teetering on the brink of repossession, your lender may not allow you to keep your car. Also, if you owe far more than it's worth, you may want to give it up and carpool or take the bus for a few months while you save up for a used car. Chapter 7 is your chance to get loose of any debt that's plaguing you, so if your car loan has too-high interest, or the car has very high mileage or mechanical problems, this may be the perfect chance to cut it loose and opt for a cheaper used vehicle for now. Thoughts on your mortgage: Some districts may allow you to strip off a second mortgage in a chapter 7 filing if there is no equity to support the loan. In North Carolina, this is not currently the case. As with your car loan, if your mortgage (or second) is extremely unfavorable and has a high interest rate, the home has no equity or even negative equity and also needs serious repairs to make it sellable or liveable, you may want to relinquish the house and the associated debt and be a renter for awhile. With a second mortgage this high, this is a likely scenario for relinquishing your home even if you are current on your notes, depending on how much the home is likely to be worth once the market rebounds, the age of the home and its overall condition. 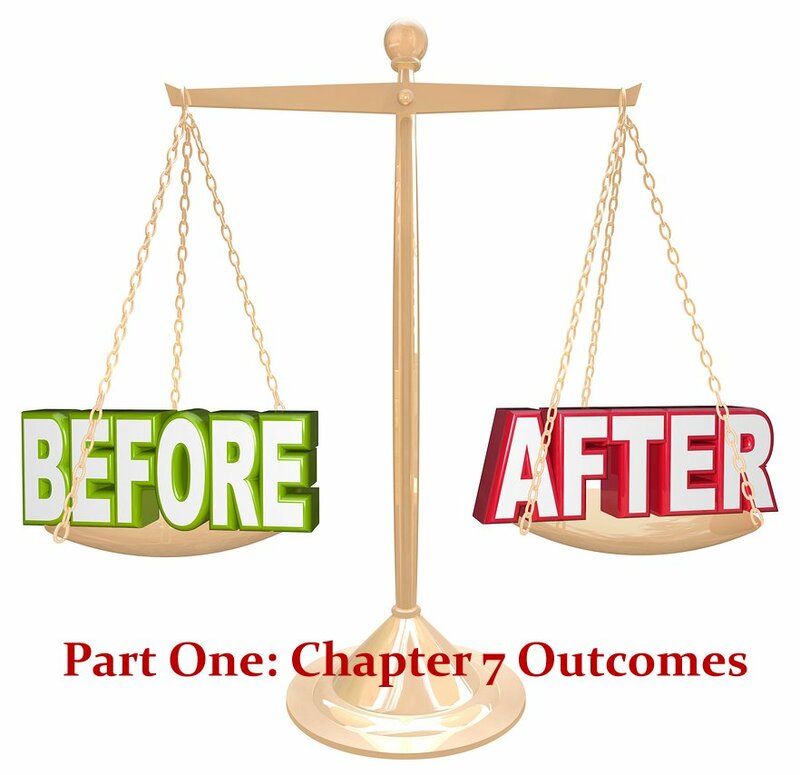 To find out more about how your unique circumstance and debt profile will be affected by a Chapter 7, contact the law offices of John T Orcutt for a free consultation on filing a North Carolina bankruptcy to give yourself a financial fresh start.